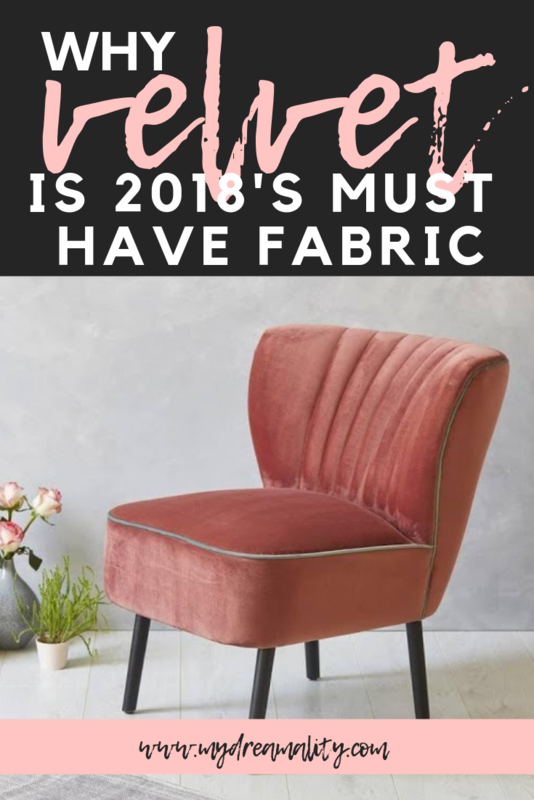 Regular readers of my blog will know how much I love velvet, and you can’t have failed to notice the hundreds of stylish velvet styles flooding interiors shops and home ware sites over the past few months. One thing’s for sure – velvet is here to stay for 2018 and interior design experts are even predicting it to be a major trend as we inch closer to 2019. Loved for its super soft feel and plush aesthetic, velvet is actually a closely woven silk, cotton or nylon with a short and touchable pile on one side. This accounts for its luxurious look, and I can’t help seeing all-velvet anything and immediately thinking of princely palaces, sumptuously draped four poster beds and even the Queen’s throne! With the velvet trend showing no signs of slowing down, I thought I’d give you my reasons why it’s the must-have fabric to invest in right now. From statement-making velvet sofas like these from Arlo & Jacob, to a subtle velvet lampshade (I like this rose-tinted one from Made), this fine fabric comes in many different guises. Whether you want to dive head-first into this trend or simply dip your toe in, there’s a velveteen delight to suit any taste. Try tonal scatter cushions or a super-soft throw to accent an already decorated room with velvet without overpowering your current furniture, or go the whole hog and choose a princely velvet sofa to really take centre stage in your living room. Traditionally made from silk or cotton, nowadays there are numerous man-made versions of velvet on the market, and most of these react in the same way to everyday household fabrics in terms of staining and wear and tear. 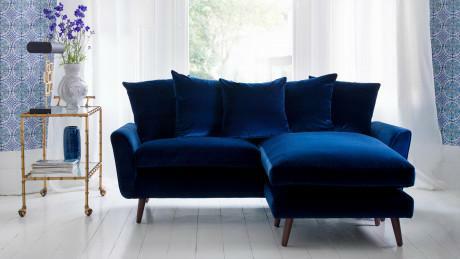 This makes modern day velvet a durable and realistic choice for a busy home. I found this great little article on how to clean your velvet upholstery whilst writing this post, read it here. 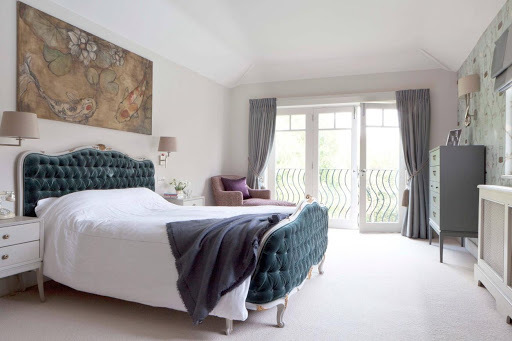 A well-designed interior is all about contrast, and velvet offers a great high-low effect when styled with other fabrics such as linen, cotton or wool. 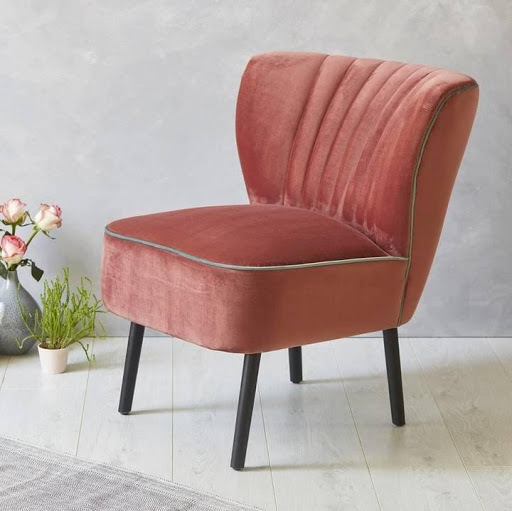 Known for its sumptuous feel, velvet need not come in rich jewel tones – why not try an oyster or pale pink velvet cocktail chair like this one to bring a light and room-opening feel to smaller spaces? Originally sourced by Kashmiri merchants, velvet has its roots in a rich and well-travelled history, making it an exceptionally elegant choice when updating your home. As I mentioned earlier, I can’t help associating this plush fabric with royal riches and a real sense of opulence, meaning shabby spaces are instantly made more luxurious with the addition of velvet. For endless velvet decorating ideas, head to Pinterest. Previous Post Which generation is most loyal to brands?